Oxshott / Esher Home - 2012 & 2013 - Move existing client's system to new home in Surrey plus add a Home Cinema room. During 2012 & 2013 one of our existing clients moved from London to Surrey and asked us to dissasemebe and reassemble his existing system. During the new installation a few upgrades were added and a new Home cinema room was built. 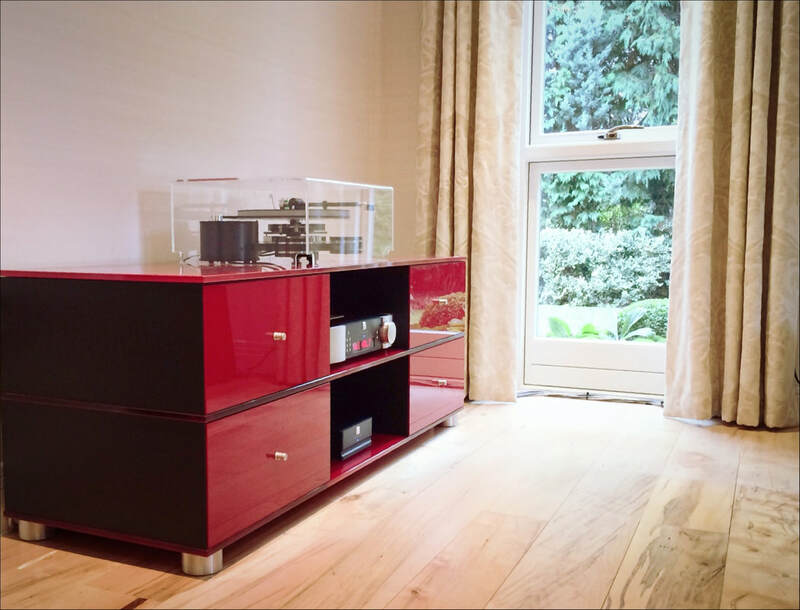 The existing system was re-housed in a new Spectral Cabinet neatly hiding the powerful Moon 600i amplifier, 310LP Phono stage and Streamer. 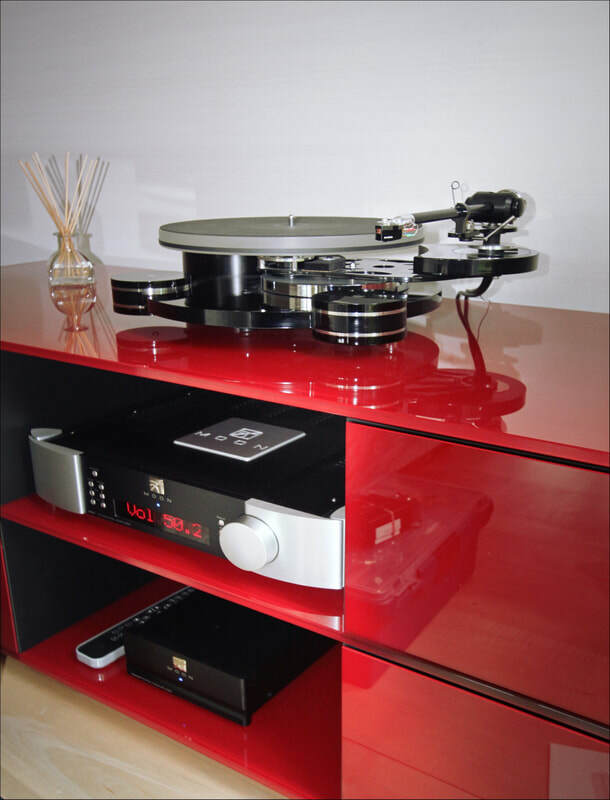 An Origin Live Resolution Turntable combined with Dynavector DV20 provide sublime vinyl playback. 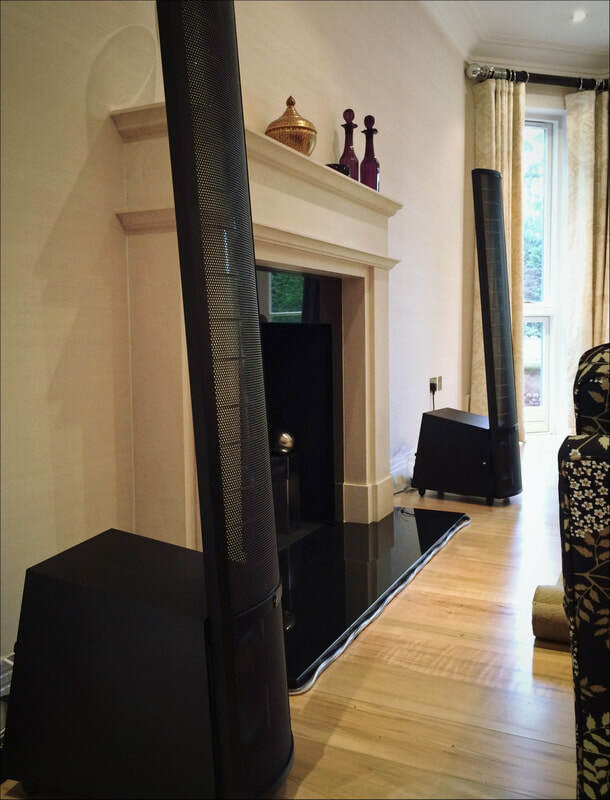 Martin Logan Ethos loudspeakers fill the room with any choice of music. A new cinema room was built in the increased space the Surrey home allowed. A wall mounted screen was chosen to display video sources from Sky HD, Apple TV, Oppo Blu Ray player and Roku Video server. An Anthem MRX AV amplifier provides powerful detailed sound with great resolution of voices. 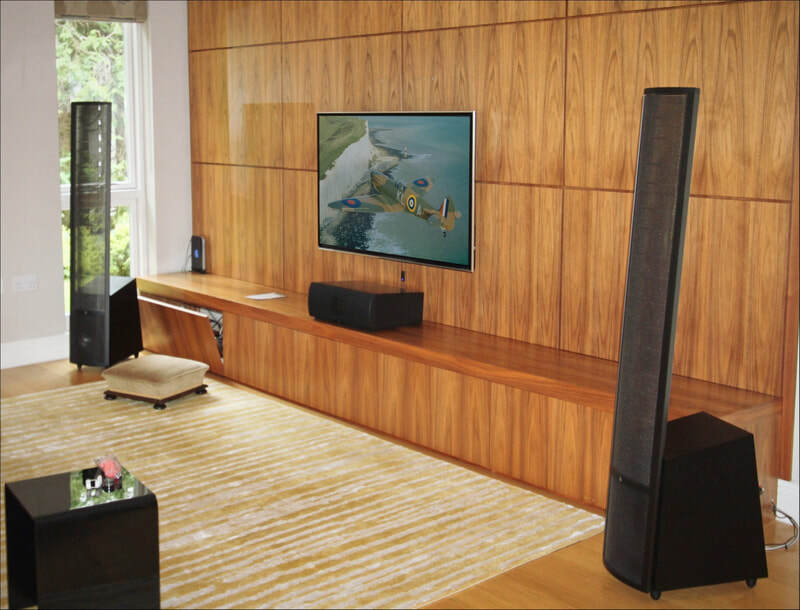 Again, Matrin Logan speakers were chosen for their room filling, accurate delivery of both Music & Movies. Crestron Digital Media video distribution allows all video sources to be viewed on the screens in the Cinema, Kitchen, Office, Bedroom & Gym. Crestron remote control makes for simple use of the system, whichever room you might be in.